Look at this fun and exciting toy! The Twin Balance Maze provides kids with hours of challenging fun and excitement. Greatly improves a child’s balance, hand-eye coordination and overall coordination by controlling the movement of the ball through the maze. The most exciting part is that it can be either used by one child or two! 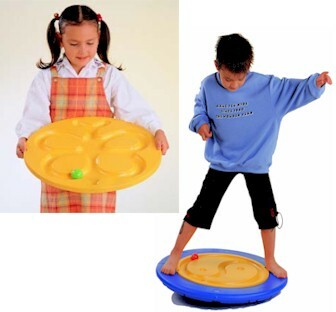 The maze can either be manipulated by your hands or with use of the whole body by standing on the edges of the balance board body. 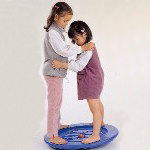 The balance body board can either be used by one child or by two working together! 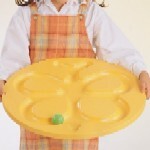 Used either way, this unique toy assists children with staying focused on a task. They become intrigued with how to manipulate the ball. All through this play time you can rest assure that they are improving different physical coordination skills, but also helping to sharpen their mind through focusing and problem solving. When used by two children they can work together to rotate and move the ball throughout the pattern maze. The maze comes with two insert mazes, in addition to the built in maze on the balance board body. The inserts look similar but are 2D and 3D versions of the same pattern. Inserts can be removed and switched around. The Balance Maze includes one balance board, two maze inserts and three balls. Weight capacity is 200lbs. Diameter is 26". Makes a great gift for a family with two or more children! 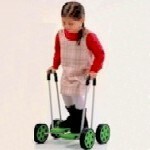 The Pedal Walker is fun and exciting for either rehabilitation or just pure recreation! Through exercise and play your child will challenging them physically, Improving hand eye coordination, and improving balance. Look at this fun and exciting toy! The Balance Maze provides kids with hours of challenging fun and excitement. Greatly improves a child's balance, hand-eye coordination and overall coordination by controlling the movement of the ball through the maze.